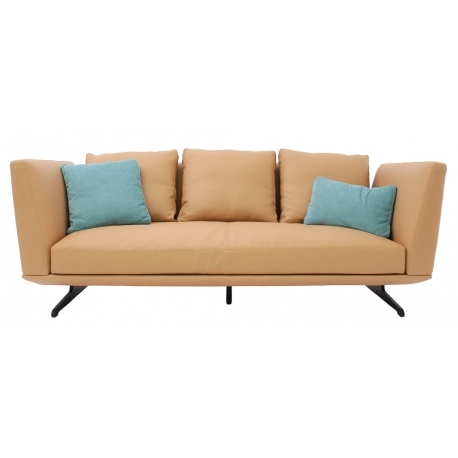 HIL-HIL three seater sofa, as shown, mustard top grain leather with black powder coated metal legs and includes five cushions. A welcoming, deep seated and high back sofa, a design choice that favours the comfort of the seat, which seeks to look and feel softer and cosier with its down feather padded cushions. 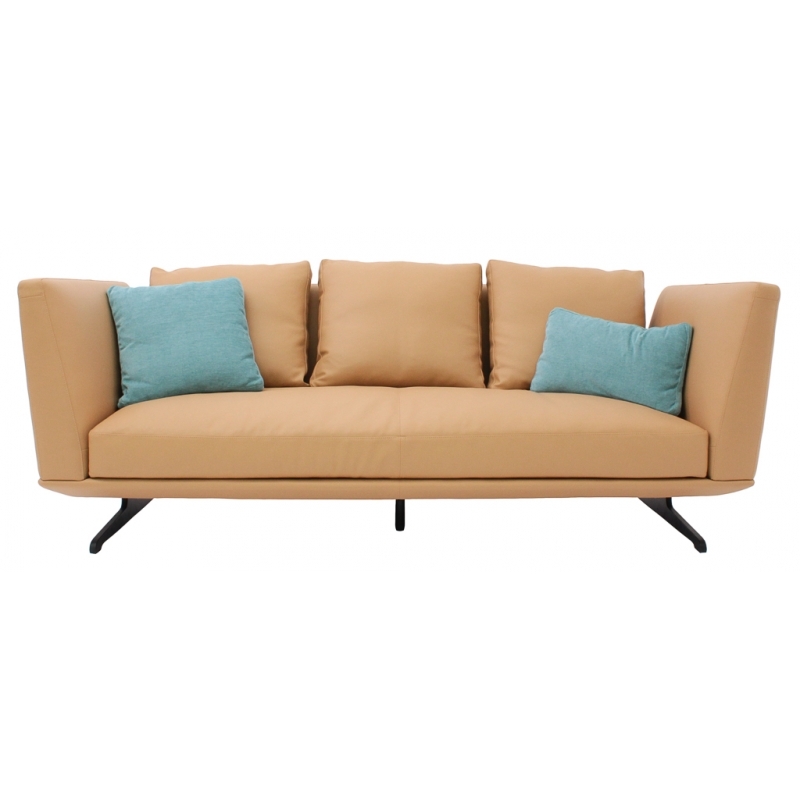 The product is also available as a two seater or corner sofa and in other colour, synthetic leather or fabric. For more details, please contact us or visit our showroom.